M170 Professional 3.5mm PC Stereo Gaming Gamer Headset Over-Ear Headphones Volume Control Breathing LED Lights for Computer PC ​ Specifications: Model: Combaterwing M170 Impedance: 32ohm Sensitivity: 54dB+/-3dB Mic size: 6*5mm Speaker diameter: 50mm Output power: 20mW Output sound pressure: 107dB+/-3dB Directivity: Omnidirectional Frequency response: 20-20KHz Headset interface: USB (plug the USB connector, LED light is on, unplug for off) + 3.5mm stereo audio and mic plug Cable length: Approx. 2.4m / 7.87ft LED light: Multi-color breathing light Headset size: 17.5 * 10 * 21cm / 6.9 * 3.9 * 8.3in Headset weight: 346g / 12.2oz Package size: 19.5 * 10.5 * 21.5cm / 7.7 * 4.1 * 8.5in Package weight: 445g / 15.7oz Package content: 1 * M170 Gaming Headphones 1 * Multi-languages User Manual Bullet point: Superior Sound & Noise Cancelling: Combaterwing M170 features superior sound that makes it an ultimate choice in gaming headsets. Carefully-engineered memory foam seals the earcups around your ears to help you focus on in-game audio and keep out background noise. Improved Comfort: M170 was built to deliver luxurious comfort over hours and hours of gaming with memory foam ear cups, stainless steel skeleton with padded ergonomic headband and improved suspension. 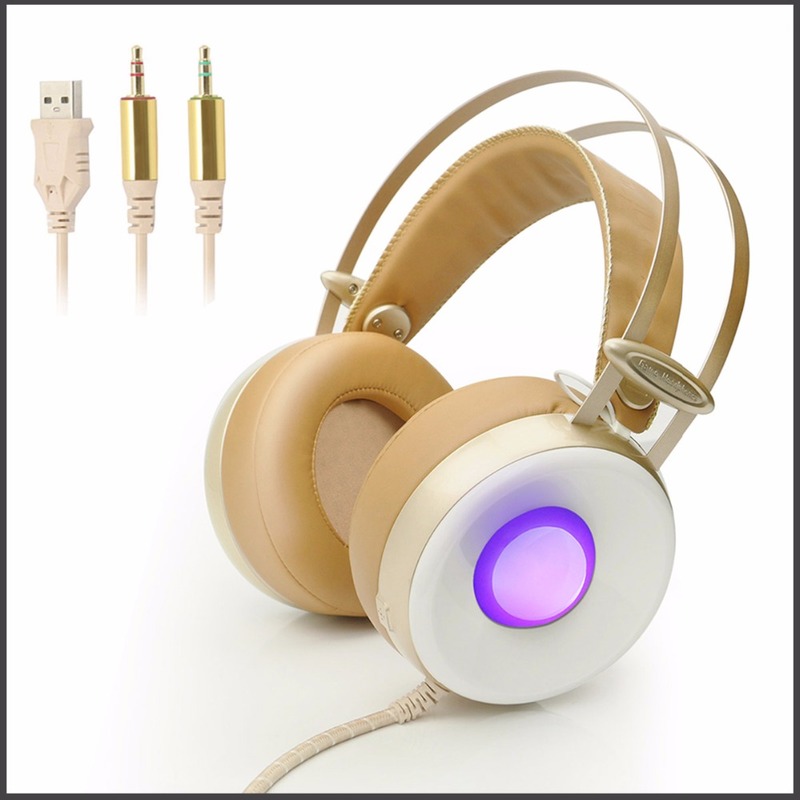 Breathing LED Lights: 16 million colors breathing LED lights, it is vibrant, but not obtrusive and is only on when the headphones are connected via USB. Offers you an awesome visual experience, day or night. Ergonomic Design: A completely new and improved microphone picks up your voice with incredible clarity. The built-in controller, located on the left ear-cup, allows for volume control. Tangle free braided 2.4m / 7.87ft cable, long enough and very durable to use. Note: A USB Jack is necessary for powering the LED lights, the two audio connectors for audio and microphone are standard inputs for PC’s and Laptops. These Gaming headphones do not work on PS4 & Xbox One and is only compatible with it unless the necessary adapter is already in your possession.